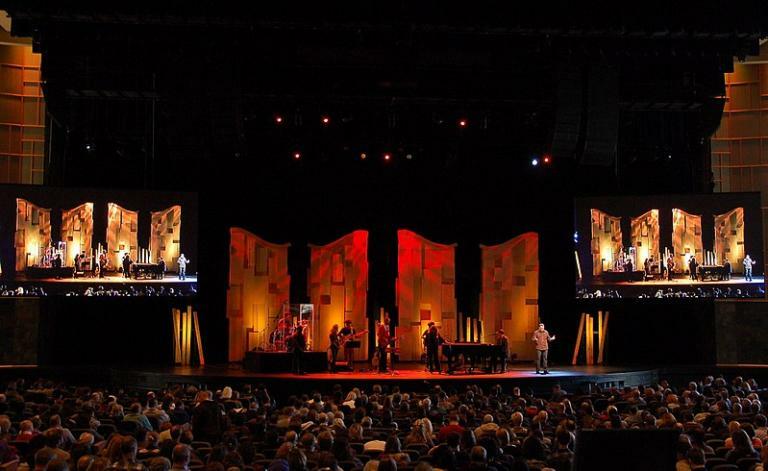 The previous article I posted about WIllow Creek was published in CT Magazine. You can read it here. This article was published at Patheos.com and it takes a different approach to the events at WIllow Creek. I don’t regularly visit Patheos.com, but I found this article quite interesting and I can appreciate much of what the author discusses. This is an article published in CT Magazine that speaks of what happened with Bill Hybels and Willow Creek up to this point in time that looks at it through the lens of “loyalty”. Let’s ponder what has happened in the last few months and why, because a simplistic reading of the events will only tempt Willow—and any Christian institution in a similar crisis—to react in such a way that the fruitful season will wither away all too quickly. Many women have come forward and said Bill Hybels has abused his power and sexually harassed female colleagues. The current leadership, pastors and elder board, have failed early to take seriously the accusations being brought forth. We are wise to try our best to grasp the moral and psychological complexities of what has taken place, so deep redemption can take place. Given the number of troubling testimonies about Hybels’s behavior, it’s easy to forget we’re still dealing with allegations and not proven fact. Many are of the opinion—me included—that he is guilty. Hybels, however, continues to deny many of the most serious allegations. It’s not merely an American thing but is also required of Christian charity: The accused are entitled to their day in court. For independent churches in Willow’s situation, that court is the sort of independent investigation that Willow has at long last commissioned. An independent investigation will hopefully be able to bring to light the full truth of the matter. The choice of the organization to investigate, as well as its work, are certainly matters to keep in prayer. The current pastoral leaders and the board have shown both courage and humility in resigning. That in itself is an act of repentance, and for that we can be grateful. Without excusing the leadership, we do well, however, to note why staff and boards who otherwise show signs of wisdom are tempted in a crisis to downplay accusations and protect their leader at all costs, for they do it often. One reason for many is loyalty. Loyalty is an especially precious virtue in mission-driven organizations, especially in an age when missions are so easily undermined. We do not want to hire staff or form boards whose first instinct is to suspect the leader of the worst after every accusation. And here is the rub, because loyalty is more complex than we first imagine. We tend to think that loyalty means always taking the side of the leader to whom we want to be faithful. Loyalty instead means doing everything in your power to make the leader not only a better one but a more faithful disciple of Jesus Christ. It’s not unlike patriotism for one’s country. The true patriot loves his country; so much so that he will speak out when he believes the country is doing wrong, to call the nation to adhere to its deepest ideals. In the face of substantive accusations, then, it is not a betrayal to look seriously at accusations in a way that the truth will come forth and not be covered up. It is an act of loyalty—for the sake of the leader’s integrity. Loyalty to the leader continues and drives even deeper when it appears that the leader is guilty of a shameful offense. That’s when the leader needs the loyalty of a true friend. This doesn’t mean denying or excusing wrong behavior. At such times, it means standing with them, praying for and with them as they begin to wrestle with wrongdoing and hesitantly, awkwardly try to repent. Because it is inevitable that in such crises, leaders usually do not have the spiritual wherewithal to confront every aspect of their sins immediately. Repentance is a hard and fearsome thing. We need God’s powerful grace to repent, and that grace is often communicated by patient and loving counselors who can help lead us to a proper and deep repentance. But loyalty is more complex still. Pastoral staff and boards are also called to be loyal to their congregations. This is one reason leadership at every level is so hard and why it tests the best of men and women. Staff and boards often feel they have to choose between loyalty to their leader or to their congregations they are called to serve, and they often end up choosing one or the other. This is what has happened at Willow, and not only with the board. People are either for the congregation, and especially the women who have come forward, or they have been for the staff, board, and Hybels. But loyalty and love require that we parse how and in what ways we need to be loyal to all parties, even when we believe one party has made grievous errors of judgment or has been immoral. Of course, all these loyalties are grounded in our loyalty—that is, faithfulness—to Jesus Christ, who has demonstrated his loyalty to us, even while we were sinners. Some have said that Willow staff and elders have been too loyal to Hybels, and some argue that boards should not be so loyal. As the argument above suggests, we beg to differ. Instead, we believe boards should be even more deeply loyal to their congregations and to their pastors—with all that loyalty requires. One question now is who is going to be loyal to those who have just resigned? And to Bill Hybels and his family? And what does loyalty look like now for those who remain and those who will be called into leadership? Who will be approaching any who have erred and sinned and have wreaked havoc? Is there anyone offering them prayer and support, inviting them out for coffee and conversation, being willing to listen to their story—all the while prodding them to deeper repentance and righteousness? Many are saddened and rightly angry at the way the initial accusers of Hybels have been either ignored or slandered. That is a terrible thing. But it would only make matters worse if those we believe who have acted disgracefully are shunned in turn. More than anyone, of course, the accusers of Hybels—those women who have apparently been bullied or sexually harassed—need people to rally around them. This nearly goes without saying. But the gospel calls some of us to rally around the accused and guilty, as well. What loyalty and love looks like in each situation is different, but in the end it should be a combination of honesty and grace, tough love and tender mercy, that leads one and all into a deeper relationship with God. In short, our love and loyalty must span the breadth of innocence and wrongdoing, of wisdom and malfeasance, if we are to discover a redemption that truly heals. 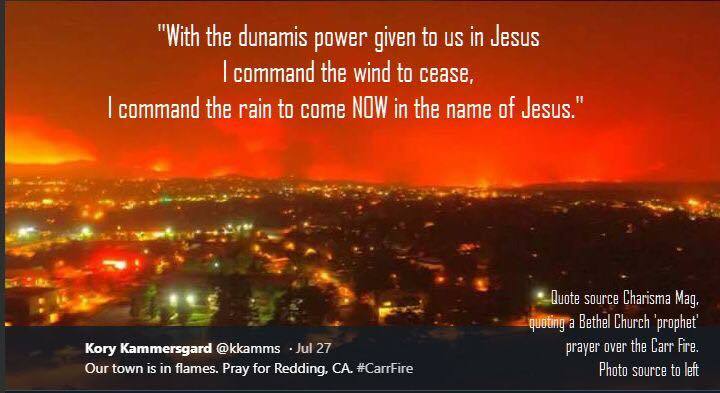 The catastrophic fires raging in California have resulted in Christians all over the world to pray for God’s sovereign intervention and protection for everyone affected, both victims and responders. Obviously, the decrees and declarations have not worked. Several homes of Bethel staffers have been destroyed, as well as the homes of dozens of members. Certainly, God can bring beauty out of the ashes. Some at Bethel are predicting and hoping for a great move of God, the likes of which have never been seen. Such revival would indeed be a wonderful thing. What we have not seen are articles expressing doubt concerning the validity of Bethel teachings concerning the miraculous and how believers are supposed to operate in the ‘supernatural’ as a normal part of their Christian walk. How will this effect the Bethel School of Supernatural Ministry (BSSM)? One might think that the failure of all the decreeing & declaring that the wind and fire cease would cause a bit of reflection on the part of those attending BSSM, as well as those trying to get up enough money to attend and become miracle workers. 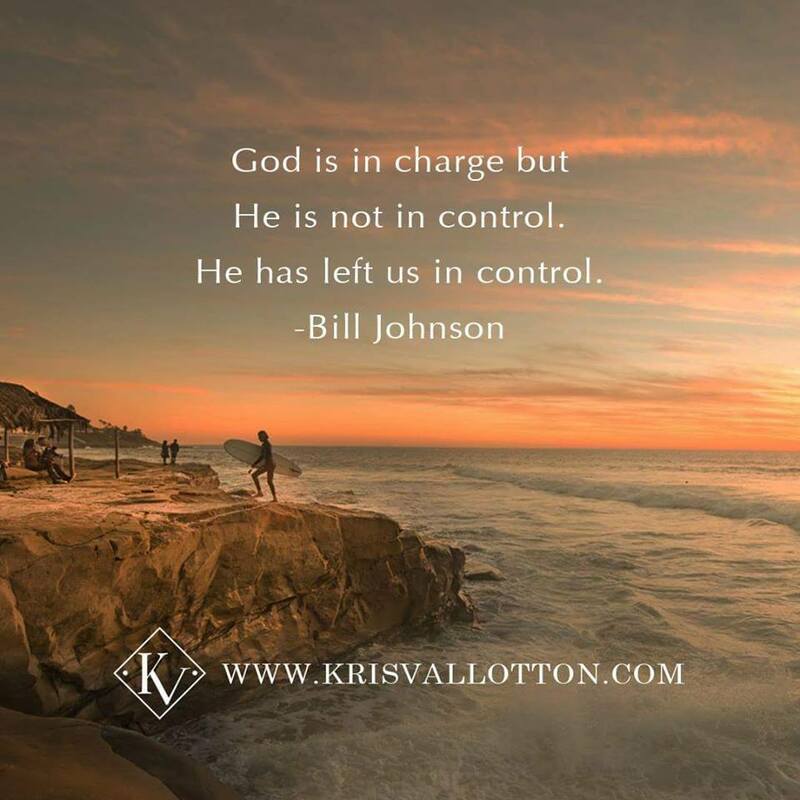 Perhaps some will be driven to really study their Bibles and come to realize they have been hoodwinked into drinking the poisonous Kool-Aid served up regularly by Bill Johnson and the other leaders at Bethel. One can only hope and pray. Time will tell. In the meantime, continue to pray for the situation in California, all those affected by the fires, all of the first responders and firefighters. Pray also that God would remove a great cancer from the professing church, as the true children of God who have been deceived by all that is Bethel (including the Pied Piper that is Jesus Culture) are awakened by the Holy Spirit and flee from the flames of heresy. I believe this to the question at the core of the current kerfuffle in the PCA concerning a July 26-28 event to be held at Memorial Presbyterian Church (PCA) in St. Louis, Missouri – the Revoice Conference. All of the criticisms aside (and there are many), as well as the defenders comments (here is one), the real issue is whether seemingly natural (born with) human affections can be sinful, along with the inevitable temptations and sinful behavior that often follows giving in to temptation. That, my friends. is THE question at hand. I’ve read more than a few articles on the subject, and what follows, posted at Purely Presbyterian seem to have hit the proverbial nail squarely on its head. Read on.